Running a business implies a number of different obligations that you may not have understood or comprehended the first time you opened your doors. How many things do you have to worry about? Can you count them? You have your employees, you have your product, your infrastructure, and of course, your security. What about security? There are several things that you might consider doing when it comes to keeping your establishment safe, one of which might be to hire a security guard, and there are plenty of companies that you might outsource to. The problem with hiring people is that they are, well, people, and with that being the case, they are prone to making mistakes. If you really want to keep an eye on all of your physical assets, then you might want to consider security system installation services Lake Worth. If you have never installed security cameras, then you may be a bit in the dark as to how much they have changed over the years. You might be thinking of old style cameras that recorded to VHS tapes, and oddly enough, these are still used in many businesses – namely convenience stores. You will want to take it up a notch, especially considering the way VHS tapes can be compromised. When it comes to security there is nothing wrong with moving into the digital age, and with that being the case, you might want to consider IP cameras, video servers, and even covert cameras. There are plenty of options for affordable Lake Worth security system installation services, and it is all worthwhile, especially when it comes to securing your business. One of the biggest problems you will have in implementing a security system in your place of business will be the potential for vandalism. A clever individual could simply destroy your cameras and then get away with whatever they please. For this reason, the most popular cameras on the market right now are vandal resistant models which can take a beating no matter what is thrown at them. Most vandal resistant cameras are capable of withstanding blows from rocks, and others can actually deal with gunshots, depending on how much you are willing to pay, and what you believe the application will be. As we mentioned before, these cameras are no longer restricted to VHS recordings. Digital video recorders can now capture thousands of hours of footage, storing it on massive servers for later retrieval. Rather than storing shelves and shelves of video tape, you can now store all of your data on a single drive. This not only allows for more space, but also higher quality video that can be easily manipulated and enhanced. If you want to take the connectivity a step further, then you would do well to consider IP (internet protocol) cameras which bring a whole new dynamic to your security system. There are still some who refuse to take advantage of the IP camera system because of either their own technological limitations or due to bandwidth issues, but if you can incorporate IP cameras into your business, you will find that your presence doubles, or even triples. An IP camera is much like a standard video camera with a bit of a twist: Instead of simply watching the video feed from a monitor in the facility, you will be able to access the feed anywhere using a specially designed webpage. This webpage can either be public, or you can choose to password protect it for privacy. When you are ready to access it, you can do so using a home computer or even a mobile phone if you wish. One word of warning however, is that many video feeds are uncompressed, and will therefore require you to use an inordinate amount of bandwidth. If you want to go with a quieter method of information gathering, covert cameras are always available and at your disposal. 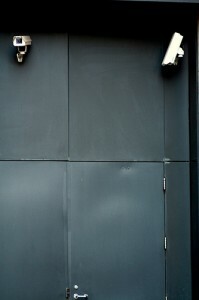 These cameras are typically hidden behind walls or in fixtures for a few reasons. First of all, you do not want to give people within your building the impression that you are watching them, and secondly, covert cameras are a bit cleaner, meaning they do not take away from the environment. One issue with covert cameras is that a determined person will always be able to notice them, even though they are still highly effective. As you can see, there are plenty of camera options, and when it comes to choosing the best security systems, you most certainly have your work cut out for you. That being the case, you will want to start by examining your building, determining the weak spots, and from there, figuring out which of these would benefit from the presence of a camera. Today’s cameras are highly sophisticated, some even going so far as to trigger an alarm system when they detect movement. In addition to that, you might choose to take advantage of infrared illuminators which are capable of viewing light on a spectrum undetectable by the human eye. As we said before, while the human element is great, the electronic element does a great job of filling in where their abilities leave off. There is nothing quite as important as ensuring your establishment is secured, and with that being the case, you should start looking into the different security options today. It is critical that you keep up with the latest technology and that you keep your equipment up to date. The thing about security systems is that they never seem to be entirely useful until you really, truly need them. Start examining your resources and your building layout today. You never know when this high end equipment will come in handy, nor do you know how it could possibly save your business. Times are different, and measures are becoming more and more fierce, especially in the area of security.